I know this sounds crazy, but the more you can be yourself, the greater potential you have for making more money. 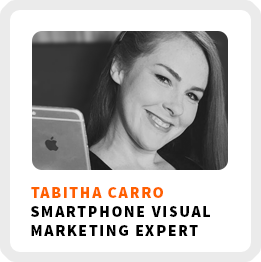 Tabitha Carro is a former teacher turned entrepreneur, who felt burned out by her profession and found her independence by working for herself. She also wants to share how to get paid more when you leave your job. The importance of being yourself, not perfect when communicating your messaging. How being risk adverse left her stuck in a stressful job. Why building multiple income streams has given her greater security than a traditional job. How to gradually transition out of a traditional job into your own business. Ideal work environment: Outside with her dog, in the shade, with a lemon water. Favorite productivity tool: Google Calendar, Trello, and the HabitMinder app. 1) Use Google Photos for free video and photo storage. 2) Get comfortable with at least one design app, like Word Swag, Canva, Adobe Spark, or Over. 3) For animation, look into apps like Quik, Ripl, or Legend.